Hi, my name is Aly. I’ve been building guitars since I was fifteen (which hasn’t been very long so far). I can’t remember exactly when or how my dad and I came up with the idea to build instruments, but here we are. First off, here are a few guitars we have built so far. 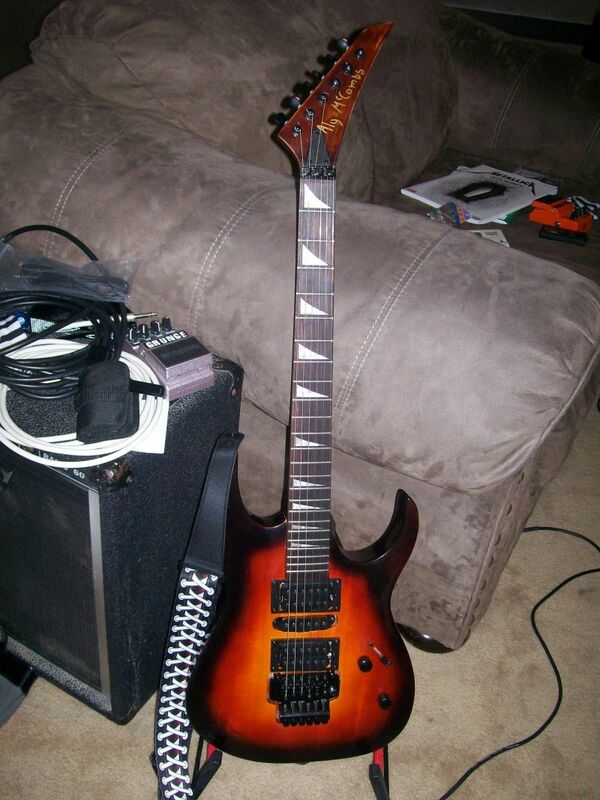 This was my first guitar. I built it from a kit to get started, which was a pretty good idea thinking about how much could have gone wrong due to lack of experience. Naturally for me, painting is the best part. Here’s my first attempt. My dad “helped” me with it. He screwed it up pretty bad. The first paint job; I must say isn’t the best in the universe. I did the Sunburst technique backwards, and that’s what happens (thanks, dad). But now I know, right? Attempt #2! Not bad, eh? You just gotta keep at it (and knowing what you’re doing helps a whole lot). At last, we finished the guitar! It was a lot of work, but worth it for sure. It took a bit of extra effort to get all the electronic and technical stuff to work, but we got it sounding fine. My finished guitar! And it looks great. 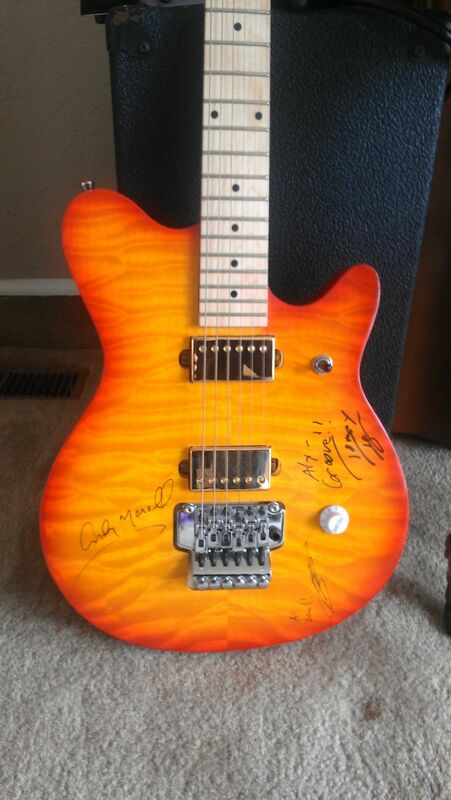 I autographed the guitar head here. I hadn’t come up with a cool signature at the time (come on, I was 15) so that’s what it looked like. 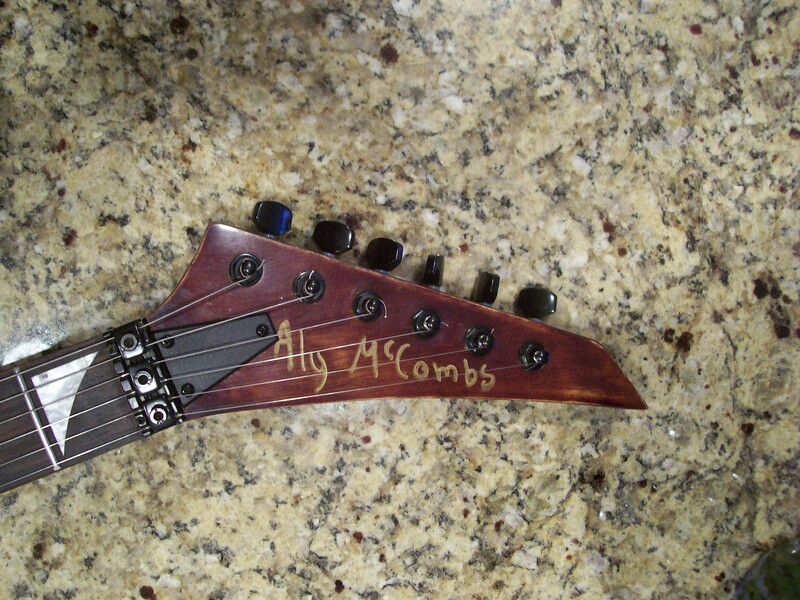 Still, you have to admit that the idea of signing your own guitars is pretty cool right? 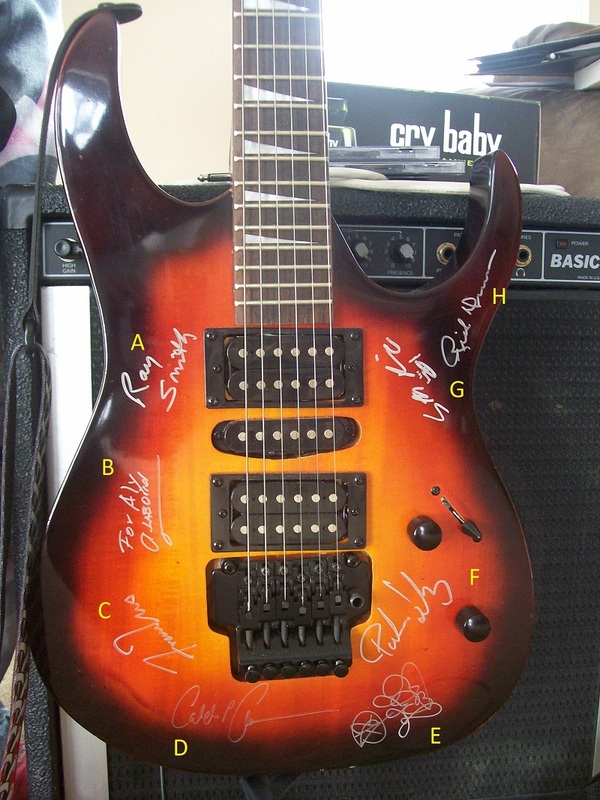 A few months later, I participated in the annual Peaks Jazz Festival where I got my guitar signed by some of the artists. I didn’t want ink on my work at first, but my parents talked me into it, and I’m happy I gave in. B – Abraham Laboriel – Grammy Award winning bassist. 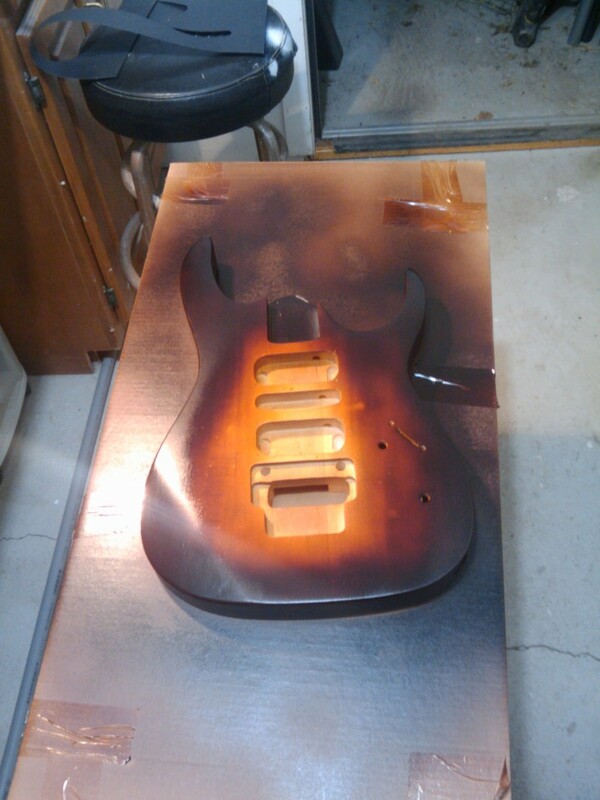 The next spring, we began working on another guitar. This guitar was also from a kit, since we still felt inexperienced. This guitar is my favorite to play so far. It sounds great! Here’s me working on the electronics. It can be frustrating, but I look pretty happy, don’t I? I love the colors on this guitar! It was pretty easy painting it, and look how it turned out! Simple, but great. 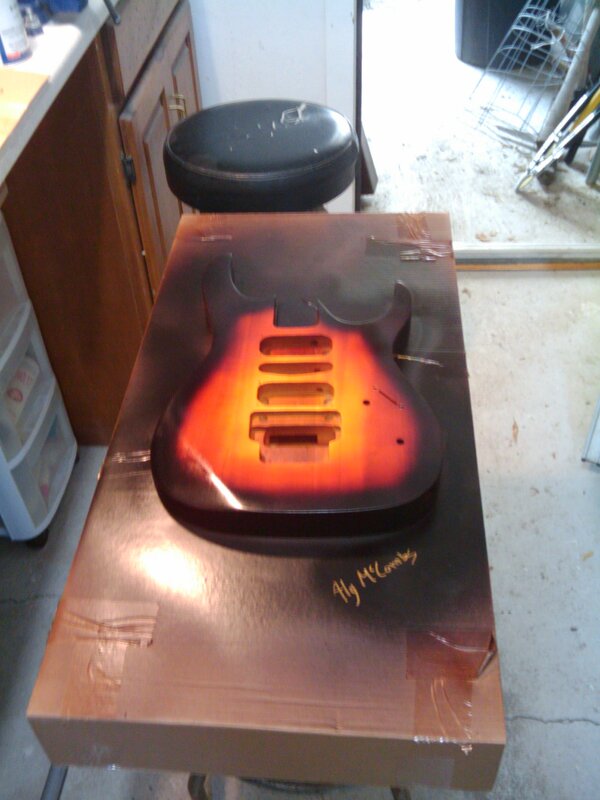 In January of 2012 we got started on our latest guitar so far. This one is a hollow-body guitar, again from a kit. Here we’re still experimenting with painting techniques. In this picture we’re trying a technique that is supposed to make the grain in the wood pop, in other word making it more sparkly! And who doesn’t want a good, sparkly guitar? Naturally, you think “A” stands for Aly! No, it stands for Amberlethe. 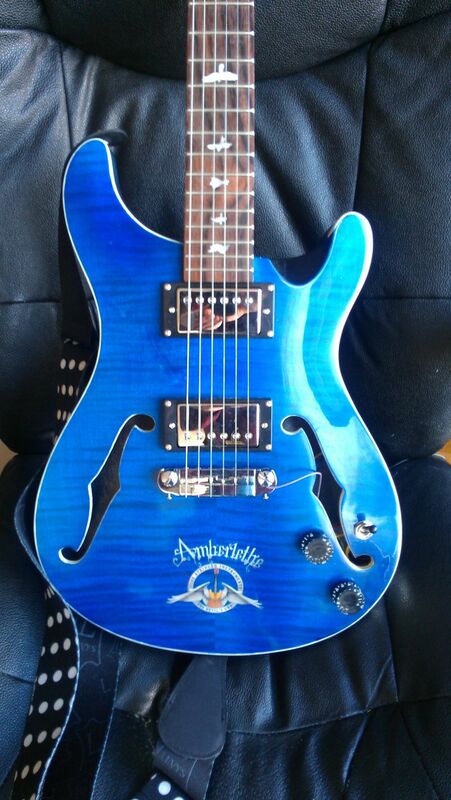 This guitar is unique because it’s representing Amberlethe. 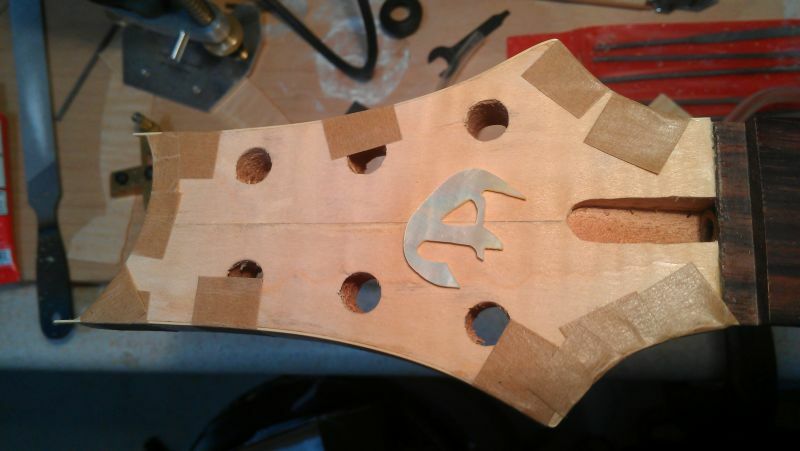 Here we have the head of the guitar, where we are doing our very own inlay work. Here’s what it looked like while applying the Mother of Pearl inlay to the head. Doesn’t look like much now, but once it’s finished, it will look fantastic! 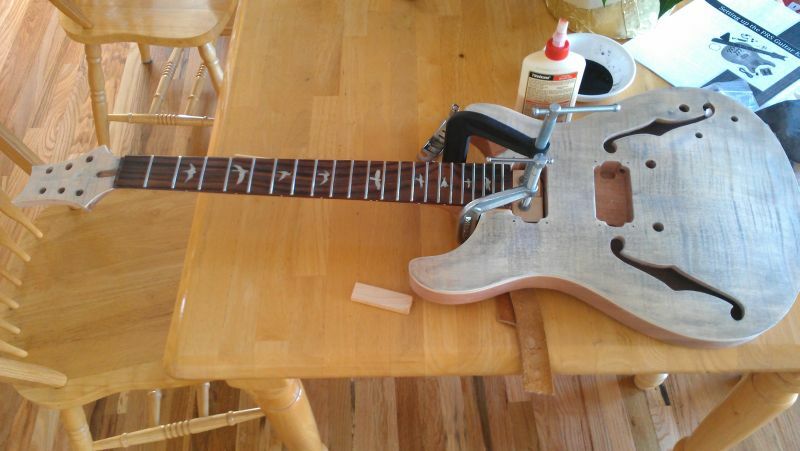 So far, this has been our most difficult guitar. First of all, we did the inlay on the head ourselves, which took a bit of time, mixed our own colors and lacquer, put our logo at the bottom, and the body is arched, making polishing more difficult. 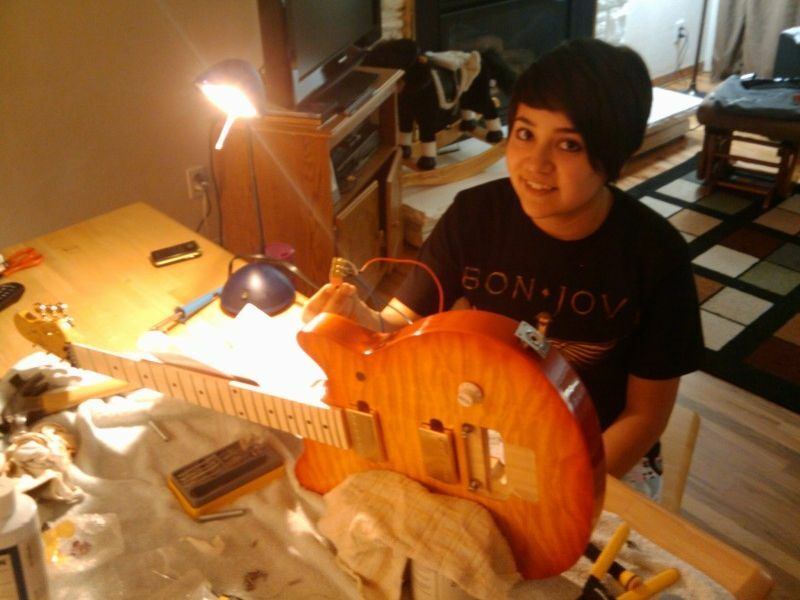 Despite all of that hard work, the guitar looks great! Our finished guitar! It looks and sounds great! That’s all we have so far. Our next guitar will be completely from scratch, and everything will be designed by us. We’ve gotten started, and now the hard work begins!